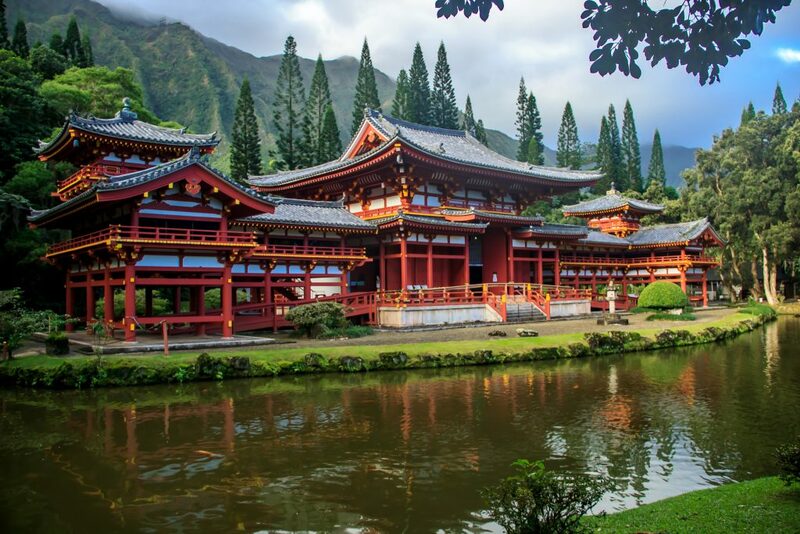 Although I didn’t make nearly enough time to visit this spot during my time on Oahu, the Byodo-In Temple on the Windward side of the island is one of my absolute favorite places. 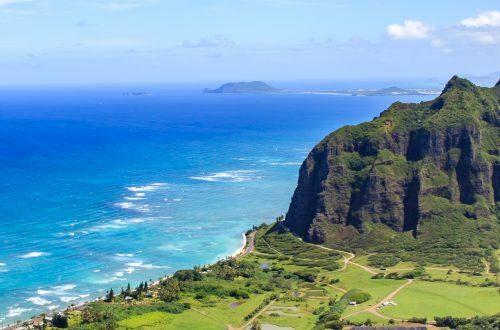 Located in a valley at the foot of the Koolau Mountain Range is Oahu’s Valley of the Temples, a resting place for many of Hawaii’s departed. Besides serving as a memorial park, the Valley of the Temples consists of lush hills covered with tropical flowers and plants. Towards the back of the Valley of the Temples visitors will find the Byodo-In Temple, a scale replica of a 950 year old temple in Uji Japan and made entirely without nails. The temple was dedicated in 1968 as a centennial commemoration of the first Japanese immigrants in Hawaii. This is a non-practicing, non-denominational Buddhist temple that allows visitors to walk around. Outside of the temple sits a five-foot, three-ton sacred brass bell (bon-sho). It is customary for visitors to ring the bell before entering the temple. The sound of the bell is meant to create a deep calm and peace for those who ring it and cleanse the mind of evil and temptations. Ringing the bell is said to bring happiness, blessings, and a long life. 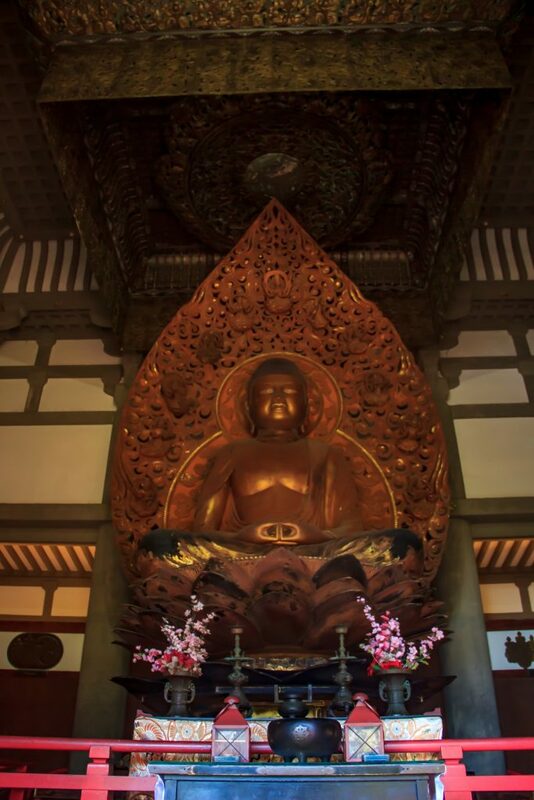 Inside the temple you will encounter a gorgeous massive (over nine feet tall) gold leaf covered Amida Buddha. Surrounding the Buddha are smaller sculptures depicting Boddhisattvas (enlightened beings) floating on clouds, dancing, and playing musical instruments. Visitors of all faiths can light incense and worship, meditate, or simply take in the beauty of the temple. Surrounding the temple are lush gardens and a huge koi pond. Ducks, geese, and wild peacocks also roam the area. Although I am not Buddhist nor do I practice any sort of religion I have spent a lot of time studying religion and have always been fascinated and drawn to Buddhism. Despite that, the temple and this location always leave me feeling calm and refreshed. 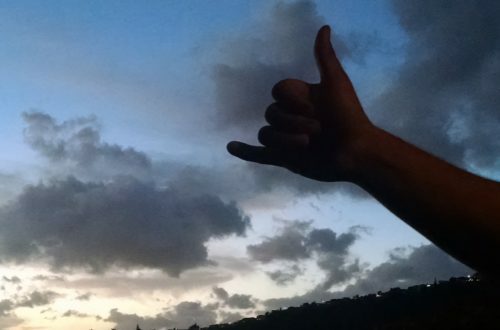 No matter what may be going on in my life I leave here feeling that I will be ok and no matter how much I struggle things will turn out in the end. The temple is open daily from 8:30am – 5:00pm and has a $5 admission fee, however parking is free. 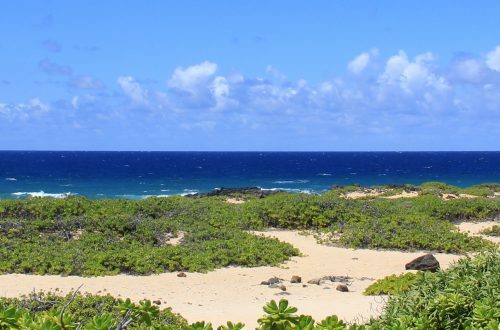 I highly recommend paying a visit to this gorgeous location if you are ever on Oahu and if you can arrive early. The temple grounds are extra peaceful before all the crowds arrive and if you’d like to capture some photos around the area it is much easier to do so before 9am.